Kanan language varieties are reported to be similar to one another, with only slight differences in accent or speed. No differences in vocabulary were reported among Kanan varieties. Nanza and Hoyaw varieties were mentioned as Kanan prestige dialects. There is a high degree of contact among all Kanan, as they frequently travel to other Kanan villages for business and visiting. There is also much intermarriage between geographically close Kanan villages. The Kanan and Kadu reported that they are similar in many ways, in their language, cultural traditions and everyday life. The only differences they mentioned were about their housing, and in a few animistic beliefs and practices. Even though many subjects acknowledged similarity between Kanan and Kadu, they also expressed a sense of separate ethnolinguistic identity. 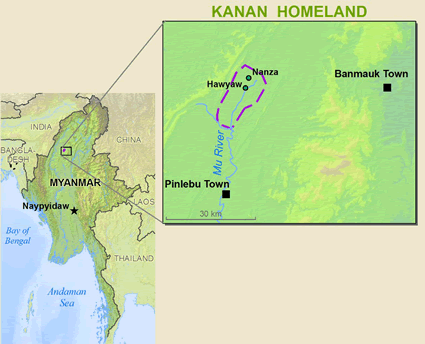 Most of the Kanan people live in Banmauk Township. The Kanan live along the Mu River, to the southwest of the Kadu area. A few Kanan also live in Pinlebu Township, but this area is not connected to the Kanan ma-jority area. It is not known how many Kanan live in Pinlebu Township or how long they have lived there. Information gathered indicates that there are 1,730 Kanan households. Local evangelists from other ethnic groups within Myanmar have done outreach and evangelistic activities among the Kanan people. View Kanan in all countries. 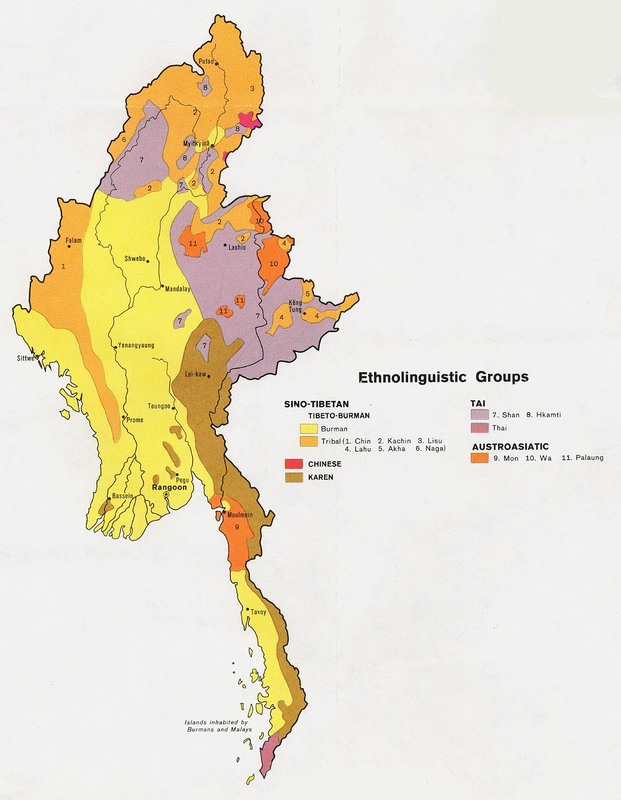 Location in Country: Sagaing Region: Katha district, Banmauk township, along Mu river, southwest of Kadu [zkd] language area, 24 villages; Homalin, Indaw, and Pinlebu townships, a few villages.